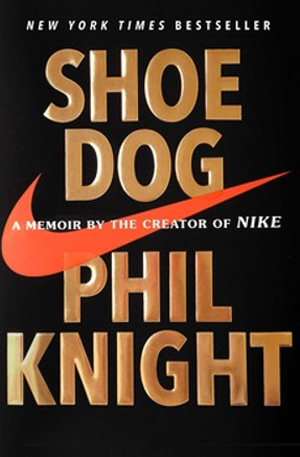 Phil Knight’s (the founder of Nike) book, Shoe Dog, is getting many good reviews. Bill Gates claimed it was one of the top books he read in 2016-- he liked the honesty of the story. My colleague, Hari Murakonda also thought it was a great book. Once I started reading it on a Wednesday night, I had a hard time putting it down and was finished with it by Sunday morning. It is great for supply chain professionals to see a quote from the ex-CEO of a Fortune 500 company on the importance of the supply chain. “Supply and Demand is always the root problem in business….It’s hard enough to invent, manufacture, and market a product, but then the logistics, the mechanics, the hydraulics of getting it to the people who want it, when they want it—this is how companies die, how ulcers are born.” [original emphasis]. In the case of Nike, according the book, they had to spend a lot of time finding factories that could make the products they wanted, with quality needed, and that were able to ramp up if they had a hit product. Getting back the book, I also highly recommend it. It focuses on the years 1962 (when Knight felt like he should sell shoes) to 1980 (Nike’s IPO) with a nice epilogue to bring the reader up to date. I liked the book because it was a different kind of business book. First, it gives you a nice peek into what it takes to build up a company and how difficult it is. While reading the book, you find it hard to believe that what we know as Nike will ever emerge. Second, I liked what Bill Gates called the truthfulness of the book— it felt like Knight wasn’t hiding anything. Finally, what made it unique was the human element- it was also about Knight’s life. It covered Knight trying to figure out what he wanted to do with his life, it covered his struggles with balancing work and family, it talked about how Knight and the other early Nike core felt about each other, and it gave insight into all the quirky characters and shady suppliers that shaped the early years of Nike.